Get everything ready for Shrove Day, aka Pancake’s Day, aka the best day ever invented! Celebrating Pancake’s day is very easy, whether you’re in the cooking or just-eating business. All you need is perfect pancakes. So, what are the secrets for making the best pancakes ever? There are only 3 basics to master the art of pancakes. All you need is a non-stick frying pan, a simple no-fuss batter, and your favorite toppings: fruits, chocolate, maple syrup, combinations are endless! Start with a simple batter. If you’re new to pancakes, keep things easy and as you get more confident, experiment on the go. 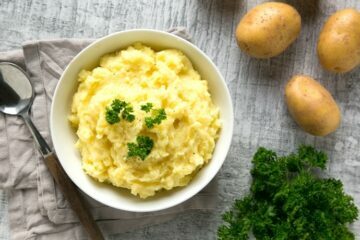 The basic batter is made with flour, eggs, milk, water and butter – you can’t go any more “basic” than this. 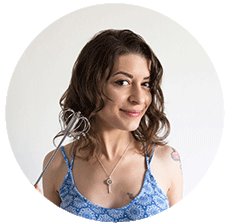 Now, you don’t have to stick to the basic recipe, adjust it to your own flavors and easily turn it into a dairy-free/ gluten-free/vegan version. Get creative and use yogurt, oil, nuts, dried fruits ( just to name a few), to add an extra amount of yumminess to your pancakes. A non-stick frying pan is a crucial tool turn out the perfect pancake with every flip. When you’re ready to cook your pancakes, get the pan really hot, then turn the heat down to medium and, to start with, do a test pancake to see if you’re using the correct amount of batter. When it comes to pancakes, it’s hard to say whichever toppings are best: sweet or savory? Too hard to choose, but ultimately it comes down to you. How are you feeling today? If it’s one of those pancakes-for-lunch days, try these amazing Cheesy Leftover Mashed Potato Pancakes, they look so mouth-watering… I’d happily eat a dozen. If all you need is a delicious dessert, I bet you’re gonna love this Pancakes with Cranberry & Orange Compote recipe. Cranberries are one of the best things about winter, and they happen to make the perfect pairing for fluffly, hot pancakes. Put them into a small pot over medium heat, cover with sugar and water. 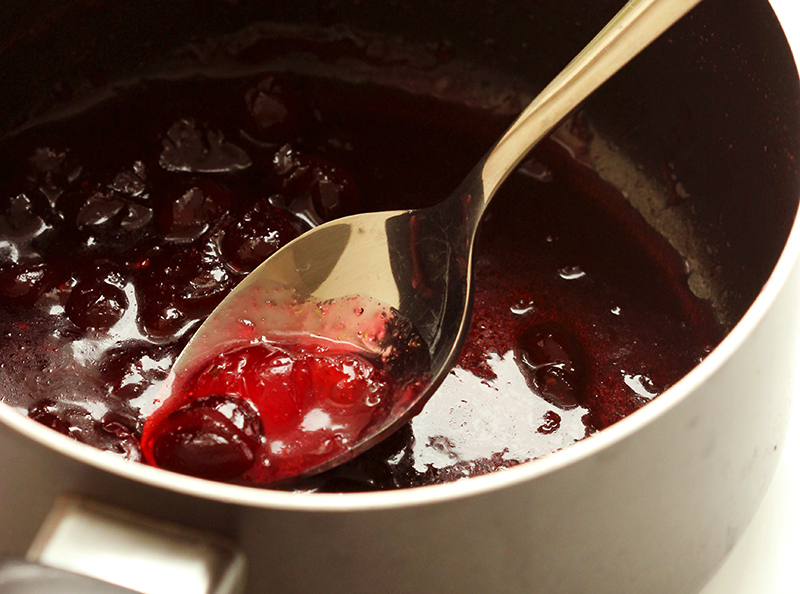 Let the cranberry sauce gently cook until the perfect level of richness is achieved. The sugar will slowly caramelize the berries, and it will give them the time to soften and simply melt in your mouth. The juice of a fresh organic orange is a fantastic addition to the sauce , it brings a fresh citrusy aroma in, and balances well with the sweetness of the cranberry compote. Also, I love an extra portion of fruit to be packed into my breakfast pancakes. So, I mixed in some yummy chopped sundried prunes. The addition of this super fruit makes the pancakes softer with a fantastic rich juicy texture. – Prunes and plums help lower cholesterol, prevent type 2 diabetes and obesity and they’re the most effective fruit to improve bone health and thus reduce risk of osteoporosis. 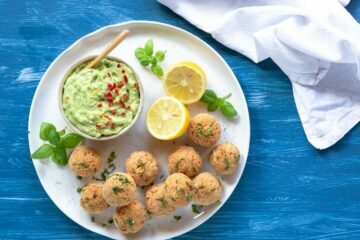 – They’re a great source of vitamin K and beta carotene, which protect and fix the damage of free radicals on our cells meaning it can help reverse the signs of aging. As you can see prunes can play a significant role in helping you live healthy lifestyle, and give a lot of extra flavor to loads of different recipes, from appetizers to desserts. 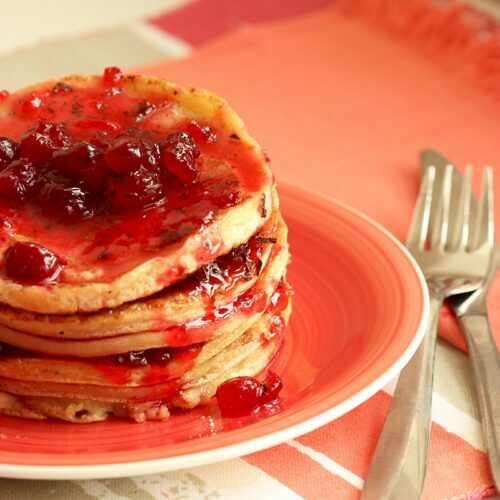 If all you need is a delicious dessert, I bet you're gonna love this Pancakes with Cranberry & Orange Compote recipe. Sift the flour into a large bowl and mix in the sugar, baking powder and a pinch of salt. Make a well in the middle. 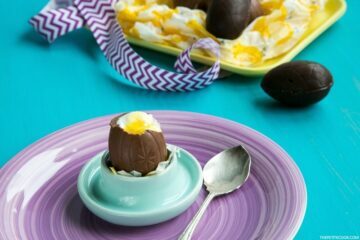 Break the eggs into the well and start whisking slowly. Add the milk and water mixture in a steady stream, whisking constantly. 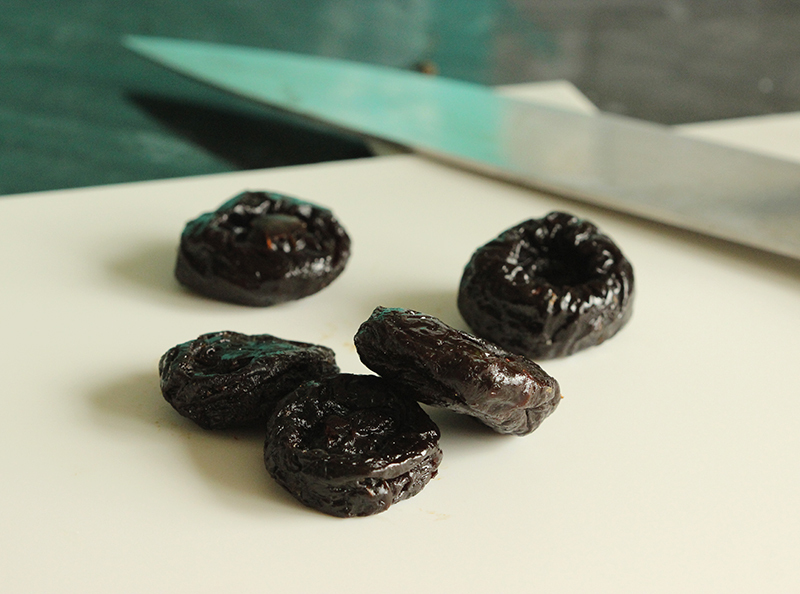 Add a pinch of salt and the chopped California prunes into the batter. Cover and set the batter aside to rest for 30 mins. Heat a non-stick frying pan greased with melted butter, over medium heat. Add spoonfuls of batter to make pancakes the size you prefer. Cook until tiny bubbles form on the surface, then flip and cook the other side. Remove when they're golden on both sides. Add cranberry, sugar, orange zest and water into a small pot and heat gently. Cook until the sauce thickens and has reached a syrup texture. Remove from the heat and mix in the orange juice and a pinch of salt. 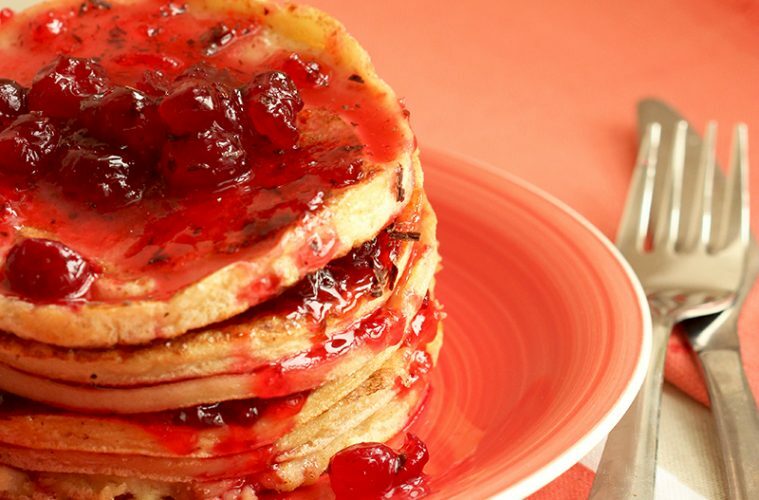 Pour the cranberry & orange compote over the top of hot pancakes. Enjoy!